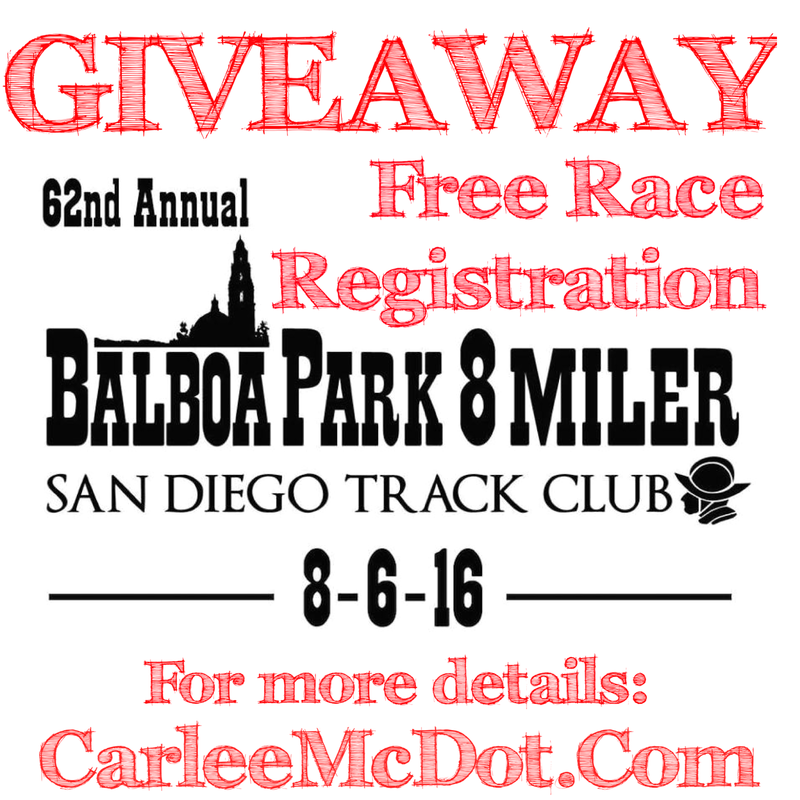 Carlee McDot: Balboa Park 8-Miler Race Registration GIVEAWAY! Let's be real, I think a runner's favorite two letters are P.R.! I mean, who doesn't like getting a personal record when they run?! So when I saw @HPMovement post on their Instagram account about the Balboa Park 8-Miler yesterday I was intrigued... I've never done an 8 mile race before, so even if I walk the entire thing it'd still be an automatic PR, right?! which is located right by the start and finish of the race! 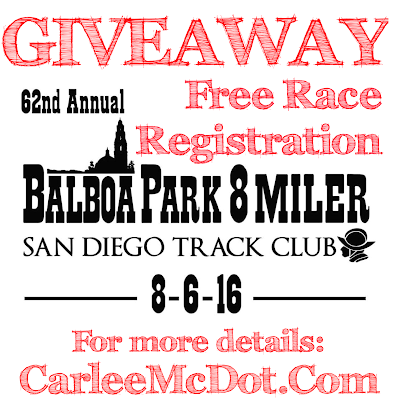 Come to find out, the Balboa Park 8-Miler is actually San Diego's longest running tradition... It's the oldest consecutive race in San Diego and this year marks the 62nd annual running of it! Well, shoot doggy, that sort of means I MUST run it, right?! And thankfully my race calendar was totally open on August 6th so it's a NO BRAINER! In full disclosure, I received a complimentary entry to this race because the guys over at HP Movement are FAN-FREAKIN'-TASTIC, but even if I hadn't I was planning on registering for it (an automatic PR is worth the low registration fee, #AmIRight?!)! With that being said, not only did I receive an entry for me, but I also acquired a SECOND ENTRY and it could be FOR YOU! 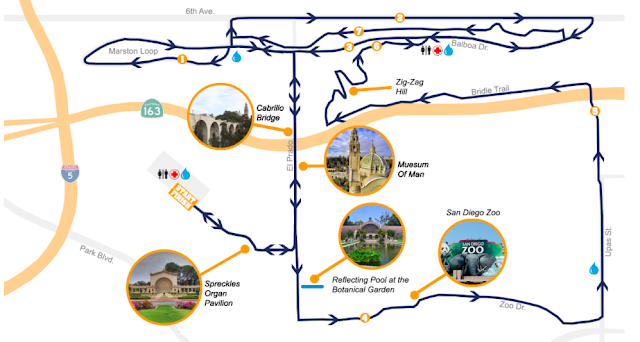 PS I do want to mention, this year will be an all new course throughout Balboa Park. Although it will be beautiful and scenic, I'm sure it will be challenging as well. We will be running by historical landmarks, on trails, over bridges and around windy roads - but what doesn't kill you only makes you stronger, right?! Not to mention, if this is your first 8-Miler it's an AUTOMATIC PR NO MATTER WHAT PACE YOU RACE! This giveaway will run through May 25th at 11:59pm PST. The winner will be contacted via the email address associated with their Rafflecopter account and will have 24 hours to claim their prize. All entries are verified, so please be sure to complete them or a new, random winner will be selected. Balboa Park is one of my favorite SD running spots!! Looking forward to this race. I've never heard of nor run a 8-miler aside from this one! :) Stoked! I've never run an 8-miler but I've had my eyes on this one! Love Balboa Park! I've never run an 8-miler but have been considering this one! I've been seeing this advertised a lot lately and thought it sounded like a lot of fun!!! I love running in Balboa Park! I have never ran a 8 mile race but am very interested in this! Ran one 8 miler before in Tampa, FL. I've never ran an 8 miler race before! This would be awesome to do! 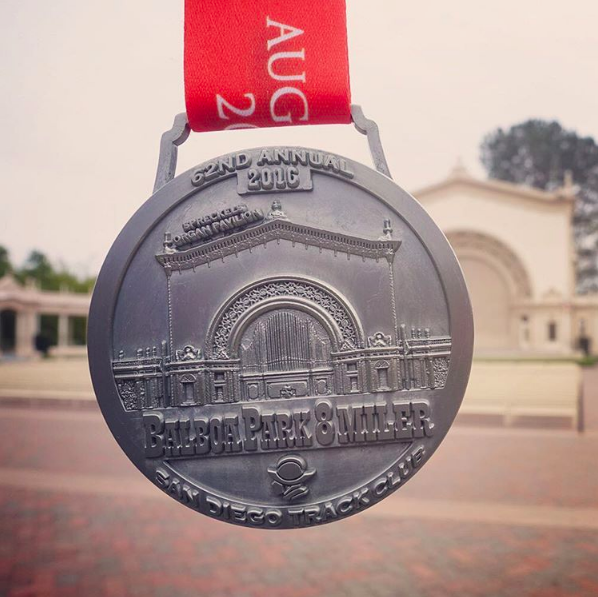 I ran the Balboa Park 8-Miler last year for the first time and loved the experience - super well organized! I "hated" the course though (it was SO tough with some SERIOUS trail hills that I was not trained for, haha). I recapped my experience on the blog last summer. I'd love to try this new course out! I've never done this race before, but I am always up for new race adventure! I have never run an 8 mile race so i like the idea of an automatic PR! I've never done an 8 miler, sounds like fun plus its the day after my birthday. late bday gift to me!